Maddie Shanahan (Basketball – University of Pittsburgh at Johnstown), Allie Lowe (Volleyball – Colgate) and Anna Juul (Running – Harvard). Standing from left to right: Lauren Adams (Lacrosse – Wofford), Elle White (Soccer – West Chester) and Mackenzie Myers (Lacrosse – Erskine College). 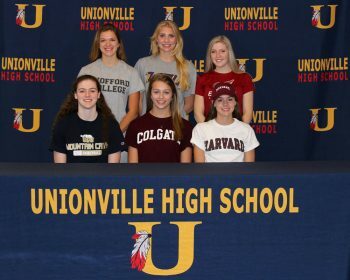 EAST MARLBOROUGH — Six Unionville High School seniors announced their intentions to continue their athletic careers beyond high school at various colleges and universities. 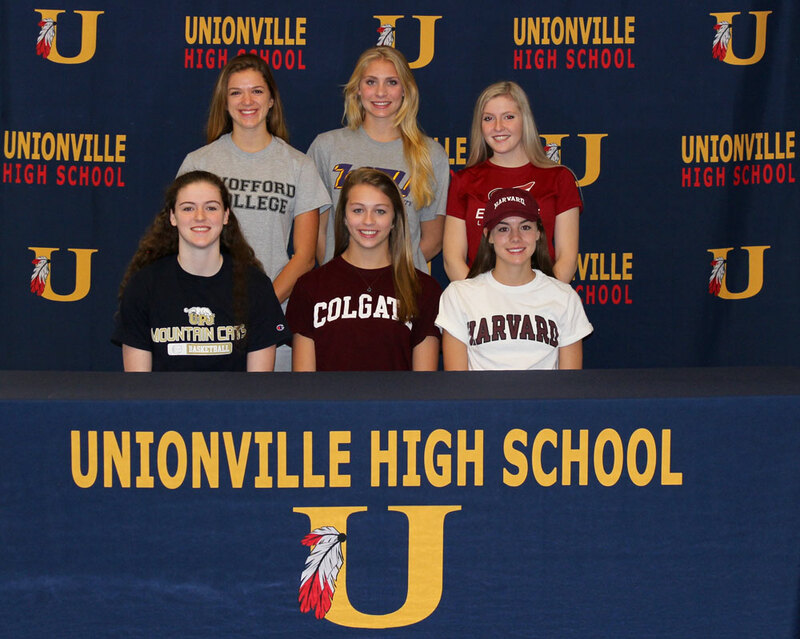 Maddie Shanahan will play basketball at the University of Pittsburgh at Johnstown), Allie Lowe will play volleyball at Colgate and Anna Juul will compete as a runner at Harvard. Lauren Adams will play lacrosse at Wofford), Elle White will play soccer at West Chester and Mackenzie Myers will play lacrosse at Erskine College.